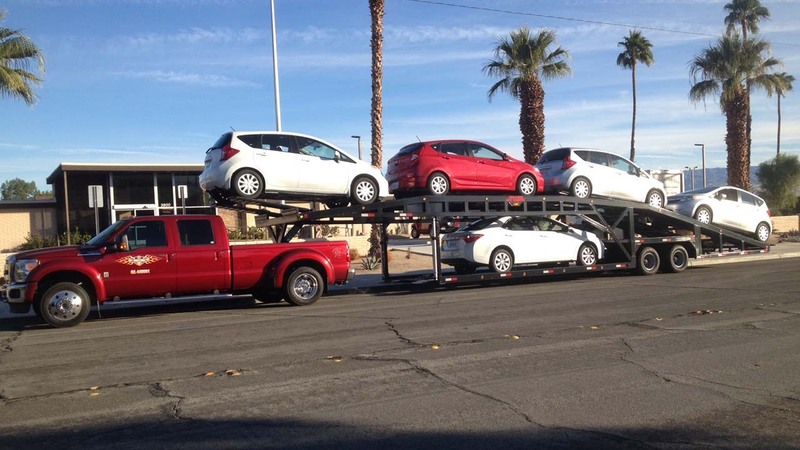 Our 4-Car Haulers fill the need of a budget-conscious owner/operator who wants to maximize their load or hot shot drivers who are moving cars short distances in urban areas. 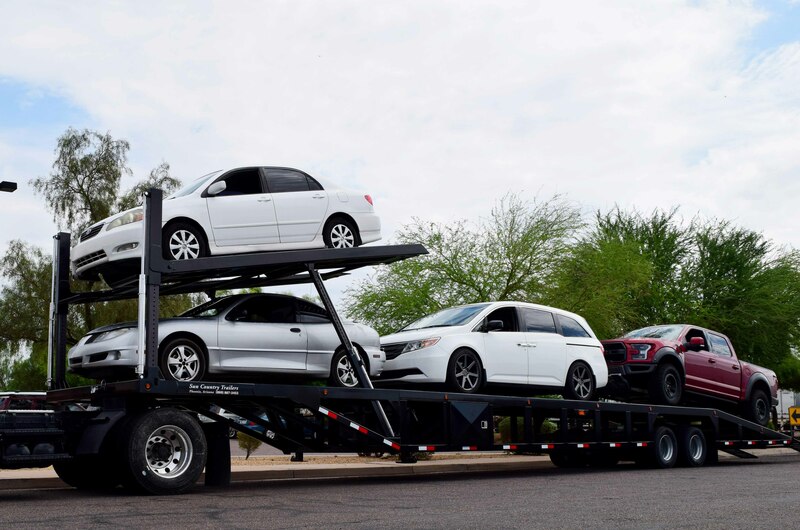 These durable mid-range car haulers generate more income while minimizing start-up and maintenance costs. 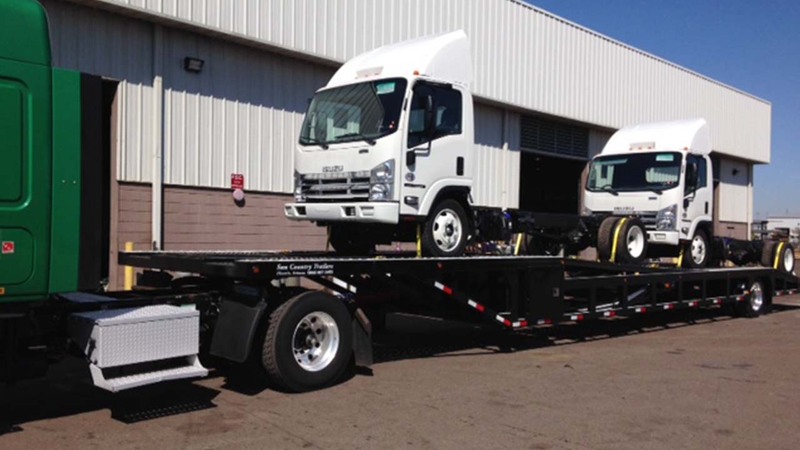 The low profile of this car hauler is ideally suited for a cab & chassis set-up. 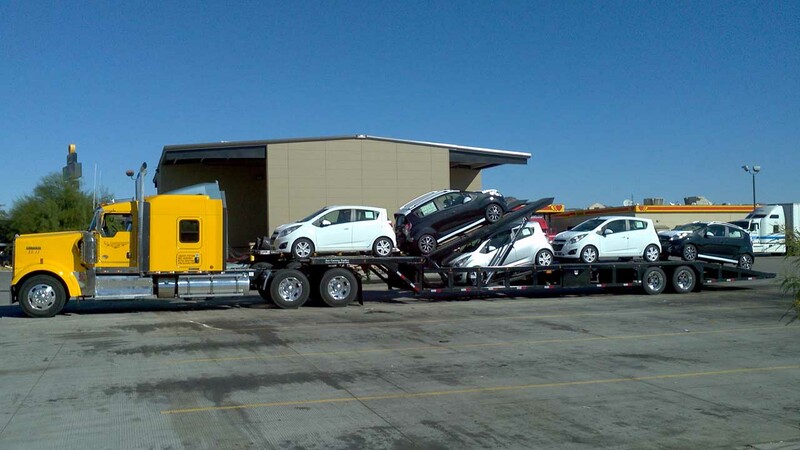 Without a bed to worry about, the stance of this car hauler makes it easier to carry high profile cars. 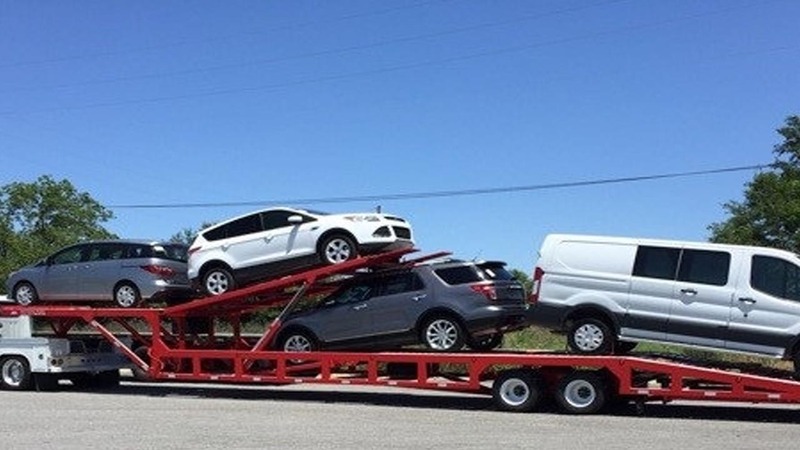 With the optional upgrade of a lift and tilt deck, this car hauler can typically load four (4) average length cars. This small stacker style 4 car trailer is the perfect choice for a Medium Duty truck which has both local and national transport needs. It’s shorter length makes it easier to navigate city streets, yet it can handle long drives just as well. The lower deck is 20’, providing plenty of flexibility to carry trucks and longer-profile vehicles. 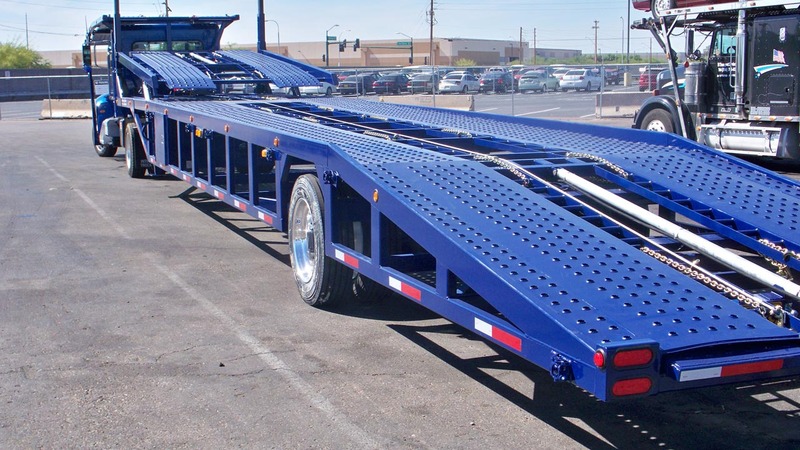 With the addition of a hydraulic Lift & Tilt deck in the front, this car hauler becomes a more versatile trailer having 4 true positions to haul a mixed load. Based off our versatile Next Generation Lo Pro, this modified version is ideal for moving only high profile vehicles. With a tilt deck in the second position you can adjust for a mixed load or for weight distribution. This set-up works well with a Road Tractor with a cab to kingpin distance of 60″-80″. Adjust for a great mix of large and small vehicles with the 53’ Ultra Lo-Pro Trailer Drop Deck 4 Car Hauler. 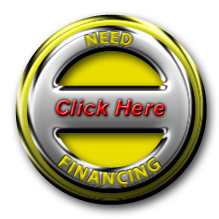 Designed with high profile loads in mind, this 4 car hauler offers a front bumper shotgun and a second position tilt, perfect for all your commercial hauling needs.